Got 25 grand burning a hole in your pocket? 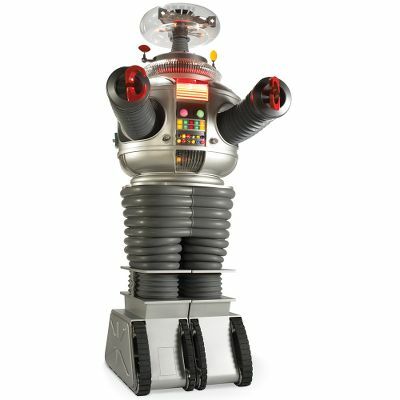 Why not buy a 6 foot tall animatronic RC version of the B9 Robot from the television show “Lost in Space” that ran from 1965 to 1968? This replica is made from fiberglass, aluminum, and steel and is created from the original archival molds and blueprints. We originally reported about the B9 Lost In Space Robot way back in April of 2006, and he’s now for sale directly from Hammacher.